This blog had been much neglected over the past two months and I had been planning to revive it before the year ends. A list of 10 of my favourite songs picturised on Sadhana, one of the best actresses of the 60s, had been lying incomplete in the drafts folder for many weeks now and I did not imagine that it would finally be completed as a tribute. This certainly was not how I planned to revive the blog. Named after Sadhana Bose, the renowned actress and dancer of the 1930s, Ms. Sadhana Shivdasani was born in Karachi on September 2, 1941. Post partition, her family moved to Bombay; where she made her screen appearance first as an extra in a blink-and-you-miss-it part in the song, Mud Mud ke na dekh (Shree 420) and then in a supporting role in the Sindhi film Abaana (1958). 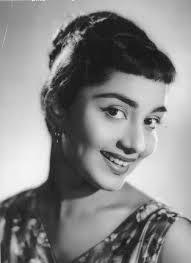 It was in Filmalaya’s Love in Simla (1960), that she made her big debut opposite Joy Mukherjee – a movie that was directed by her future husband, R.K. Nayyar. It was also R.K Nayyar who suggested the fringe (to cover her large forehead) that was to become the trademark ‘Sadhana cut’. 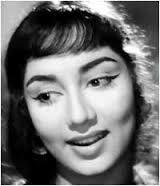 In a brief but successful career that lasted just over 17 years, Sadhana played a variety of roles. However, interestingly, she is more remembered more for her glamour and inherent stylishness than her acting chops! It is telling that she did not win any popular Filmfare awards in her career, despite packing in a punch in many of her roles. Be it the sweet, simple village girl in Parakh (1960) or the mysterious woman-in-white/ double role in Woh Kaun Thi? (1964) or the supportive girlfriend in Hum Dono (1961) or her double role in the superhit Mera Saaya (1966), Sadhana was much more than the glamour doll. She could act and would look good too! There was something soft and reassuring about her presence on screen – she was extremely convincing as the supportive, understanding wife or girlfriend and completely devoid of hysterics or melodrama or general weepiness. Health issues were largely responsible for her calling it quits in the seventies, when she made it clear that she had no interest playing side/character roles. Leading a reclusive life in the past two decades, her public appearances were rare. She was clear about not wanting to be photographed and stayed away from the limelight. One did not get to know/ read much about her – just a couple of articles here and there – either about the legal hassles troubling her in her latter years or some rare appearances in fashion shows/ such events. Not at all surprising that her hospitalisation due to an undisclosed ailment just before her death was also not reported. On Christmas morning at 10:00 am, Sadhana breathed her last and the news was reported by her advocate. Her husband, R.K. Nayyar had died in 1995 and they had no children. She was also reportedly not on talking terms with her cousin, Babita (daughter of her uncle Hari Shivdasani). As a tribute to an actress who could act and look good no matter what she wore, here are 10 of my favourite songs picturised on her, in no particular order. I have restricted the list to only solos ‘sung’ by Sadhana on-screen. A regular in all the antakshari games/ shows, this lilting Lata Mangeshkar song is probably one of the first songs I ever heard/ saw starring Sadhana. She looks absolutely lovely as a princess. While not a dancer as such, her hand movements are graceful. This lovely little gem of a movie made by Bimal Roy (with fabulous music and a delightful story -both by Salil da) is one of my favourite Sadhana movies. 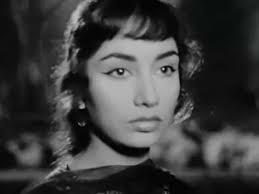 Sadhana plays a sweet girl-next-door, a postmaster’s daughter with grace and aplomb. I was torn between the masterpiece O sajna barkha bahar aayi and the emotional and poignant Mere mann ke diye. But chose this sweet song, simply because I don’t think it has made it to any other list of mine – and I am very fond of it! If I were to pick one song picturised on Sadhana, it would probably be this! 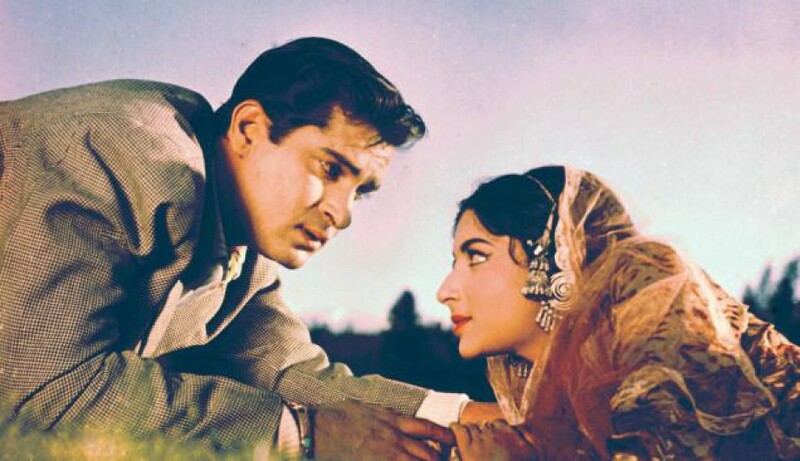 Prem Patra is a lovely romantic movie, again from the Bimal Roy stable, and starring a very dishy Shashi Kapoor along with Sadhana with a fantastic (though not so popular) Salil Choudhary score. Sadhana turns in an effective performance and she looks very good in her pairing with Shashi Kapoor. While Saawan ki raaton mein and Yeh mere andhere ujale na hote are two of my favourite Lata -Talat duets, here is this wonderful solo sung by Lata Mangeshkar. My favourite songs from this movie are all Rafi-Asha duets – Bahut shukriya, Aap yun hi agar, the unfilmed Main pyar ka rahi hoon and Zuban-e-yaar man turki. But this not-so-popular and underrated solo, sung melodiously by Asha Bhosle does stand out. 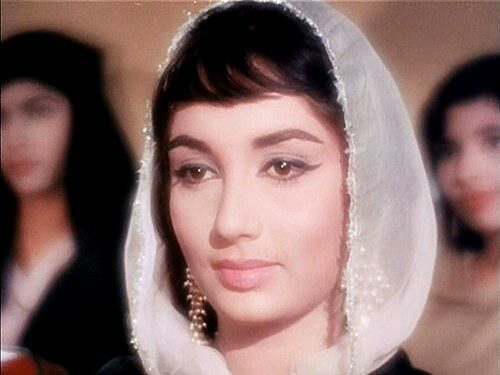 This classic mystery movie starring Sadhana as the alluring woman in white had a classic score by Madan Mohan – probably his best. This role was to bag Sadhana a Filmfare award nomination and much acclaim. Encouraged by its super success, Raj Khosla directed two more mystery movies starring Sadhana after this – Mera Saaya (1966) and Anita (1967). I was torn between the enchanting Naina barse rimjhim rimjhim, in which Sadhana appears as the ‘woman-in-white’ and this romantic number in which she is beckoning her lover to hold her and be hers. The best of the Lata Mangeshkar- Madan Mohan duo, this song is emotional and touching. A masterpiece! Sadhana had a substantial role in this multi-starrer movie, a precursor to all the lost-and-found movies of the seventies (Yaadon ki baraat, Amar Akbar Anthony and their like). As the love interest of both Raj Kumar (unrequited in this case) and Sunil Dutt, Sadhana as Meena is beautiful, gentle and kind. The musical score by Ravi does have some absolute gems (Aye meri zohrajabeen, Chehre pe khushi, Din hai bahaar ke, and one of my all time favourites, Aage bhi jaane na tu) but I picked this breezy, light song which used to be a regular on Rangoli. The second film in the Khosla-Sadhana suspense trilogy partnership, Mera Saaya (1966) was a courtroom drama, a remake of a Marathi film and had a brilliant score by Madan Mohan. Sadhana excelled as both the distraught Geeta trying to convince her husband of her identity and her twin sister Nisha/ Raina, the dacoit. Was torn between the superhit Jhumka gira re, the title track Tu jahan chalega, mera saaya (which in my mind is linked to a maa ka amar pyaar for her son. Think this tune was used in such a Hindi commercial way back in the 80s and hence the association!) and this classical tune for which Madan Mohan won an award. This philosophical song, set to the tune of the playful and romantic Abhi na jao chhod kar, and sung very sweetly by Asha Bhosle conveys unconditional love and support. Dev Anand’s character is dejected and Sadhana, as the loving, supportive girl friend is trying to get him out of his despondency, offering her complete understanding. Sadhana is spot on! I picked this song over the soulful title track Mere mehboob, because this is one of those few numbers that I like, where Sadhana is dancing. She is not much of a dancer but she does a fairly good job. Her hand movements are in particular graceful. And she does look gorgeous. Ending the list with this melodious song from one of Sadhana’s later films, and the only movie in which she acted with Dharmendra. Sadhana (a figment of Dharmendra’s fevered imagination) is beckoning him to her in this lovely song sung by Lata Mangeshkar and composed by Sachin Dev Burman. RIP Sadhana ji. You were a good actress, despite gaining more recognition as a style icon for your trademark fringe, fashion choices and general stylish persona! As the year comes to a close, I also would like to wish you all much joy, peace and prosperity in the coming year! Happy 2016. This entry was posted in Old Hindi songs and tagged Asha Bhosle, Bimal Roy, Dev Anand, Dharmendra, Joy Mukherjee, Lata Mangeshkar, Love in Simla, Madan Mohan, Mera Saaya, Naushad, O.P.Nayyar, Parakh, R.K.Nayyar, Rajkumar, Ravi, Sachin Dev Burman, Sadhana, Salil Choudhary, Shankar-Jaikishen, Shashi Kapoor, Shri 420, Sunil Dutt, Waqt. Bookmark the permalink. Good to see you back H! Well written as always. I really liked Jahan mein aisa kaun hai. Very pleasant to the ear. Jahan mein aisa kaun hai is a very nice song – meaningful and melodious. Thanks, Pri. Welcome back, Harini – and Happy New Year! Yes, I do wish you didn’t have to make a return to blogging with a tribute to Sadhana, but then, I think you’ve done justice to Sadhana with the songs you’ve selected. Such a lovely lot (the only one I don’t like much is Aaja aayi bahaar – but each of the others makes up for it). How lovely she was, and yes, so soft and reassured. RIP. Lovely picks. I liked all the songs. RIP Sadhana. Thanks Ava! and wish you and your family a very Happy new year! Thank you dear. Same to you. 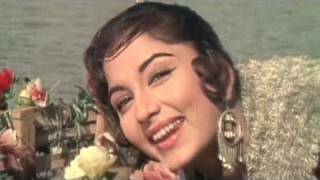 these are really the great songs of Sadhana… Thanks for sharing we will miss the beauty queen. Thank you, Ananya for commenting! Glad you liked it. Pingback: Carnival of Blogs on Golden Era of Hindi Film Music – January, 2016 – The world is too small? or Is it?